Edward Sharpe’s Alexander Ebert is supporting Trần Vũ Anh Bình, a fellow singer currently serving a six-year prison sentence in Vietnam for his songs and videos exposing brutality by the Vietnamese government towards peaceful protesters. Peaceful protests to challenge the status quo are how societies move forward. Singer and blogger, Trần Vũ Anh Bình was doing just that when he recorded two songs about the Vietnamese government's violent response to peaceful protests happening across Vietnam. 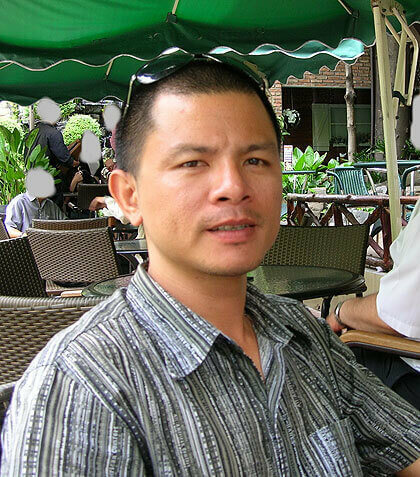 The government arrested Trần on 19 September 2011 after his videos went viral on YouTube. Trần was convicted in a one-day trial in Ho Chi Minh City for writing songs that are critical of the government and supportive of political activists, and was sentenced to six years in prison. No one should go to prison for singing a song. No one should be abused by their government for speaking out about injustice. We have to support each other, no matter the distance, no matter the borders. You never know when you'll need the same in return. 100% of the proceeds raised from this campaign will go to The Voice Project to help them as they work for the release of Trần and the other artist-activists who have been imprisoned around the globe for speaking out. More information on Trần and the Voice Project's "Imprisoned for Art" campaign is available here.